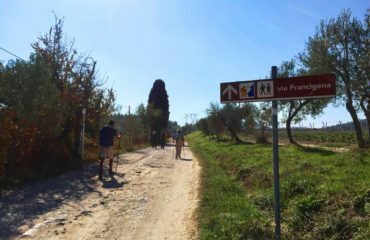 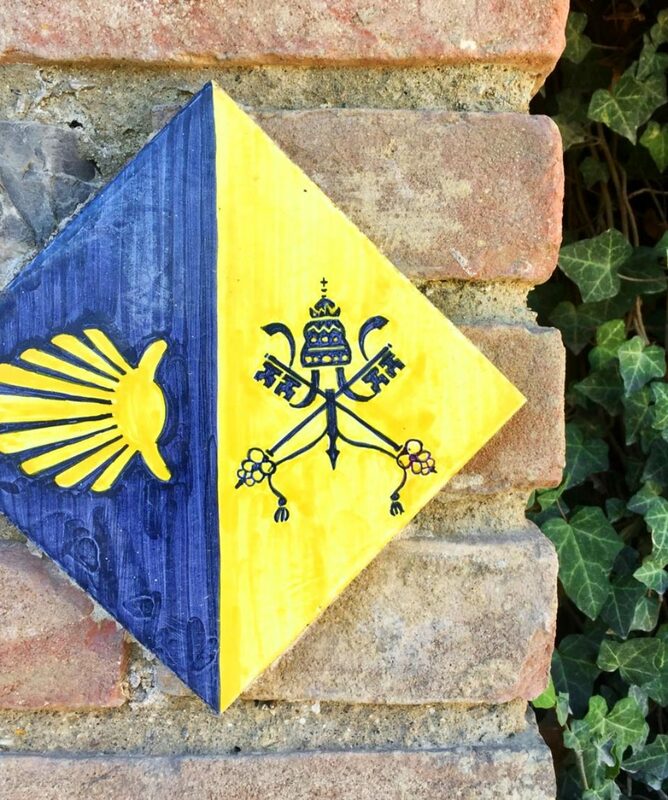 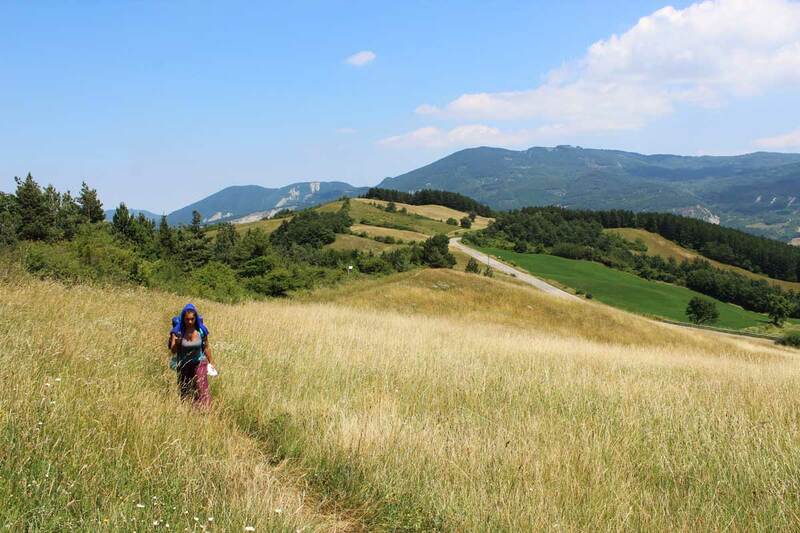 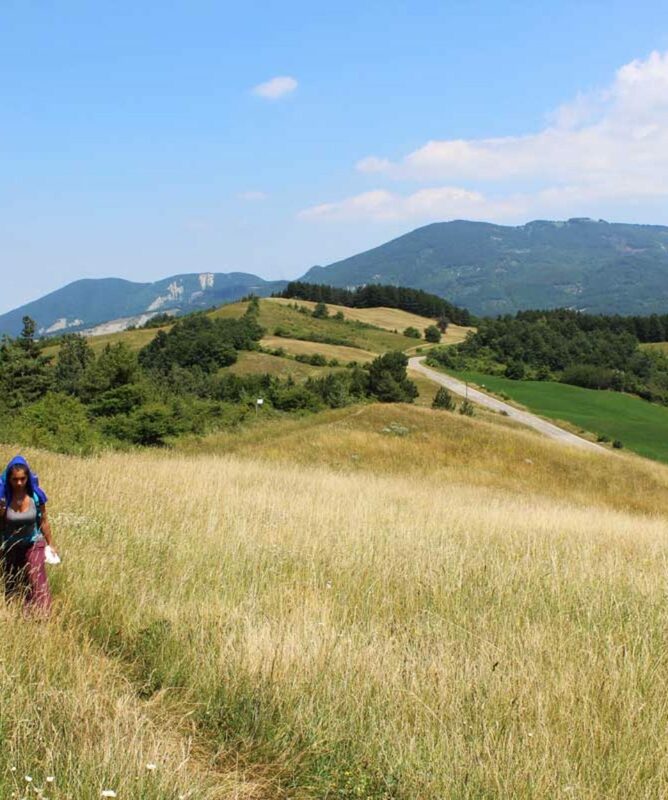 Our Via Francigena walking tour follows one of the three major medieval pilgrimage routes, together with the Camino de Santiago and the Way to Jerusalem. We start in the Alps and walk our way through the heart of Italy to reach and enter the Eternal City of Rome. 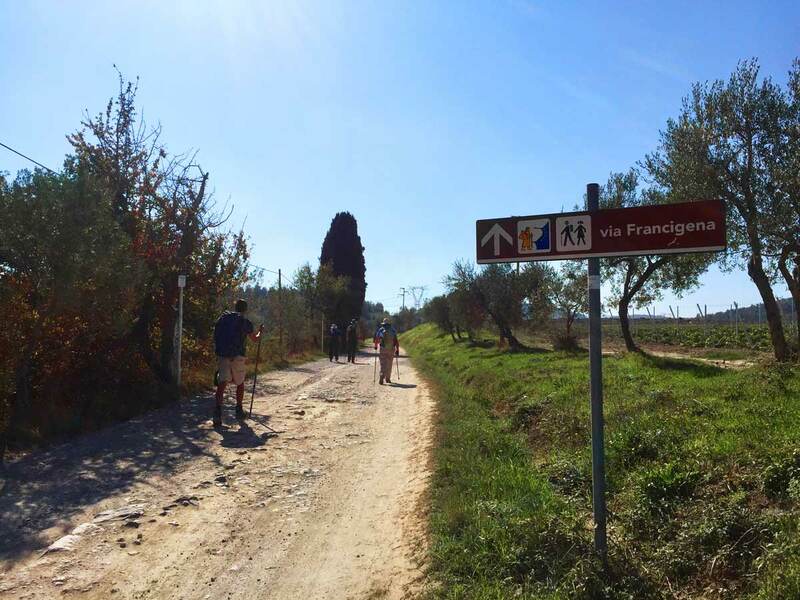 All about the Via Francigena. 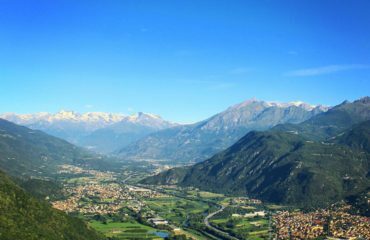 Our journey begins in the Alpine mountain valley of Susa, enters the beautiful city of Turin and crosses the Po Valley (Pianura Padana) rice fields. 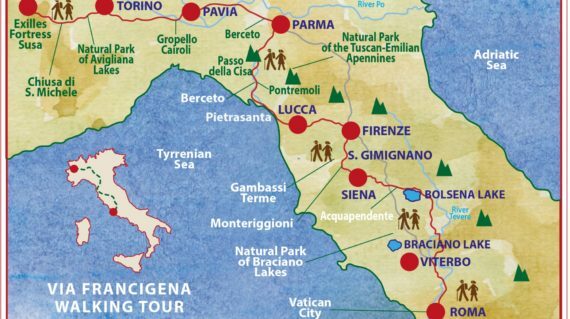 We then climb over the Apennines and descend into the walled city of Lucca. 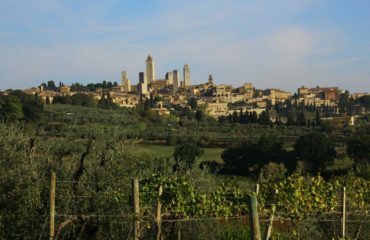 From here we enjoy the unique landscape of Tuscany, its medieval hilltop towns, San Gimignano, Siena and Montalcino, and stroll through picturesque vineyards, olive groves and cypress avenues. We climb Monte Amiata and head to Rome across the magical Val di Tuscia, enjoy breathtaking views of the Bolsena Lake and sojourn in the ancient papal city of Viterbo. 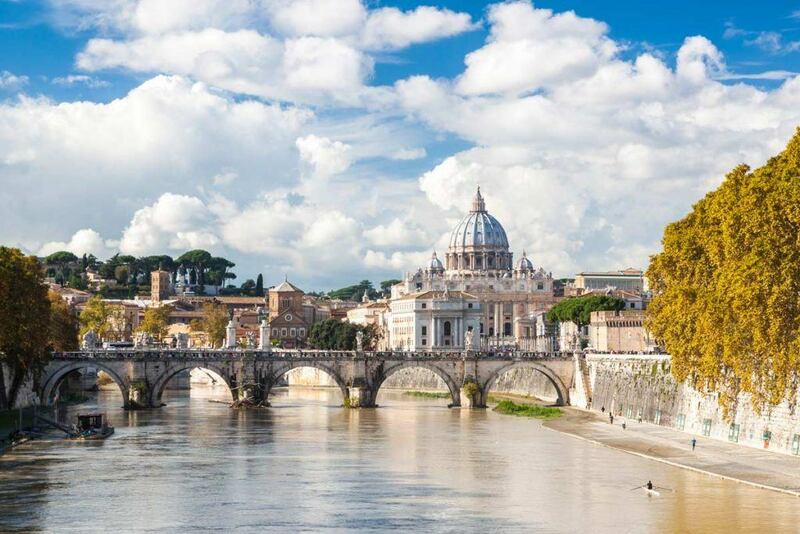 Our journey ends as we enter Rome, cross the gates of the Vatican City, and gaze at the Basilica of Saint Peter. 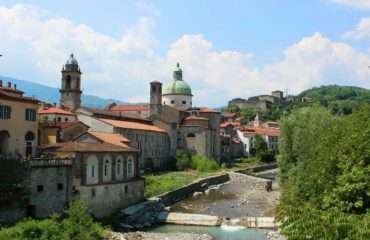 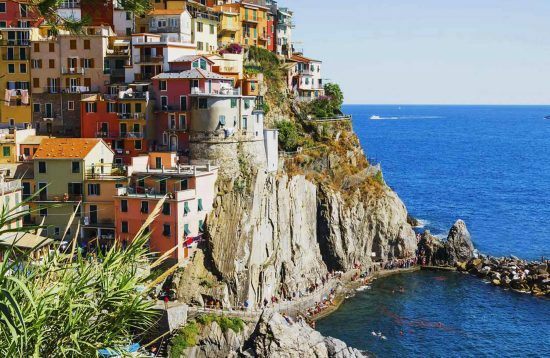 This trip is the perfect experience to fully live Italy from the Alps to Rome, an exciting walking tour going through some of the most spectacular areas of the “Bel Paese”. 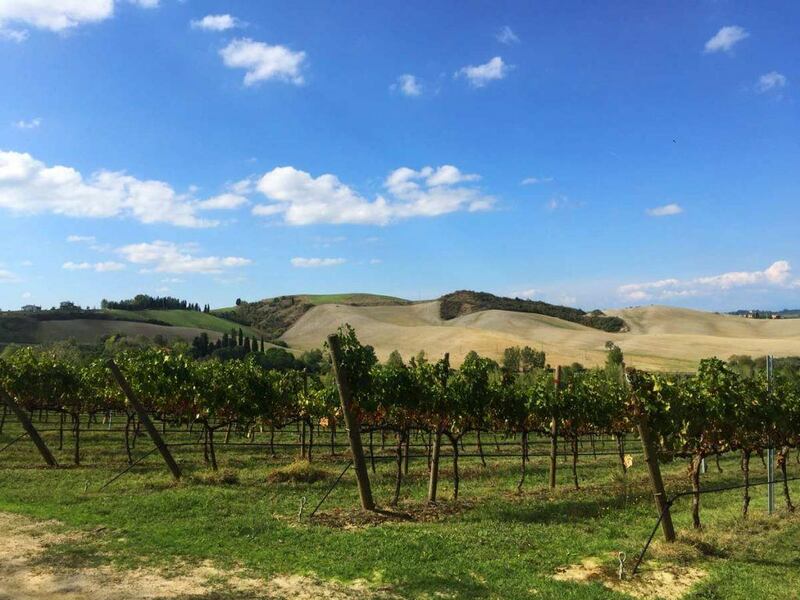 Of course food and wine is another major highlight of this trip as we walk our way through the culinary traditions of different regions of Italy and drink some of the best wines in the world! 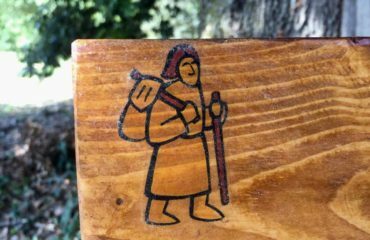 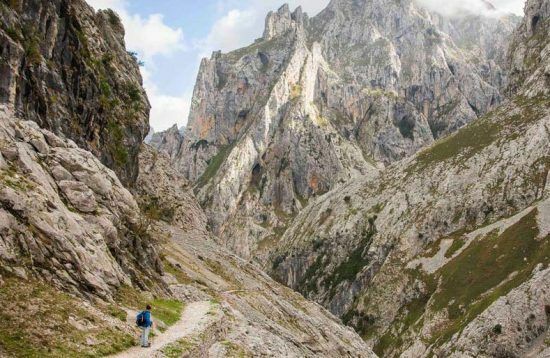 If you have enjoyed the Camino de Santiago and are searching for a similarly enchanting experience but less crowded then this trip is what you are looking for! 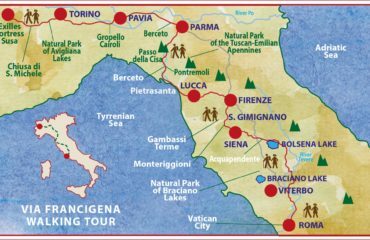 If you would like to speak with us to know more about our Via Francigena Walking Tour, please write us an email or call 800.908.1980. 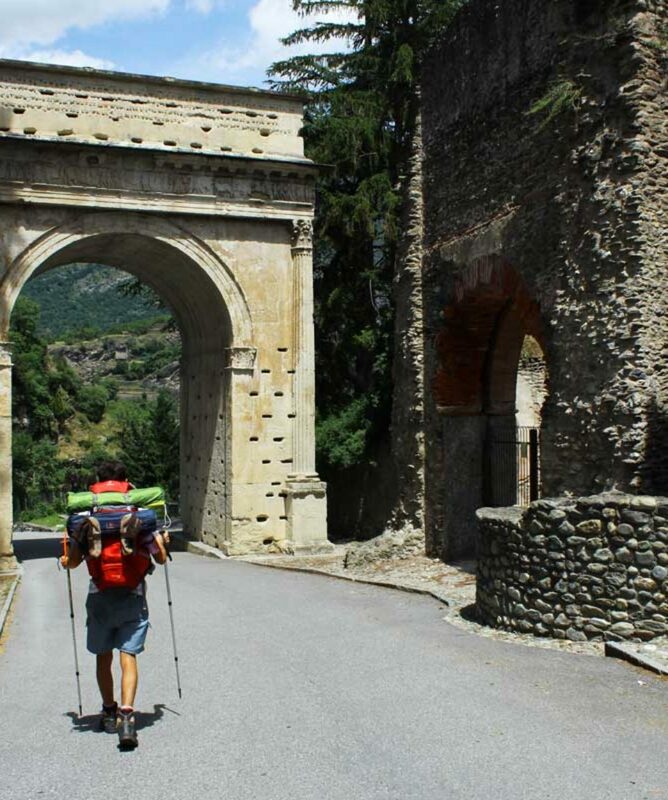 We would be happy to hear from you and help you planning your next adventure! 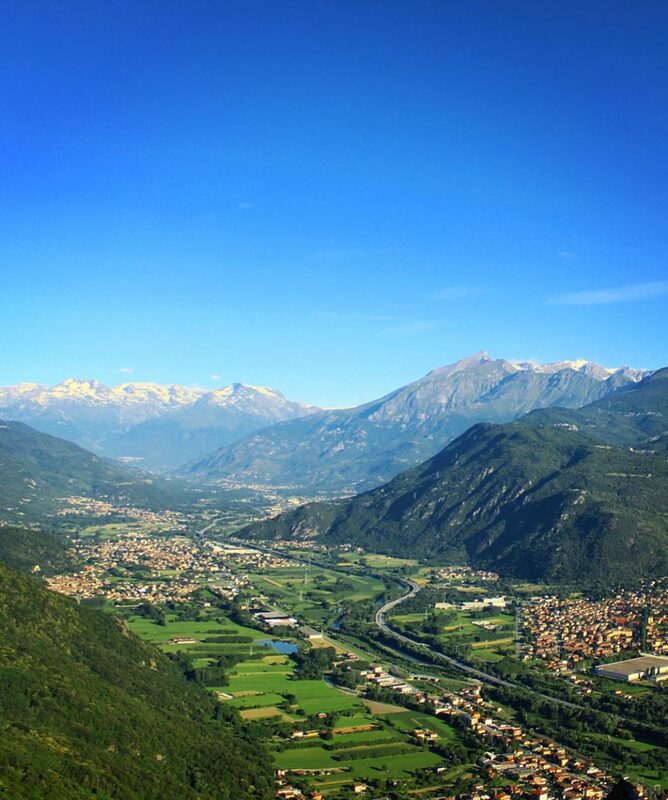 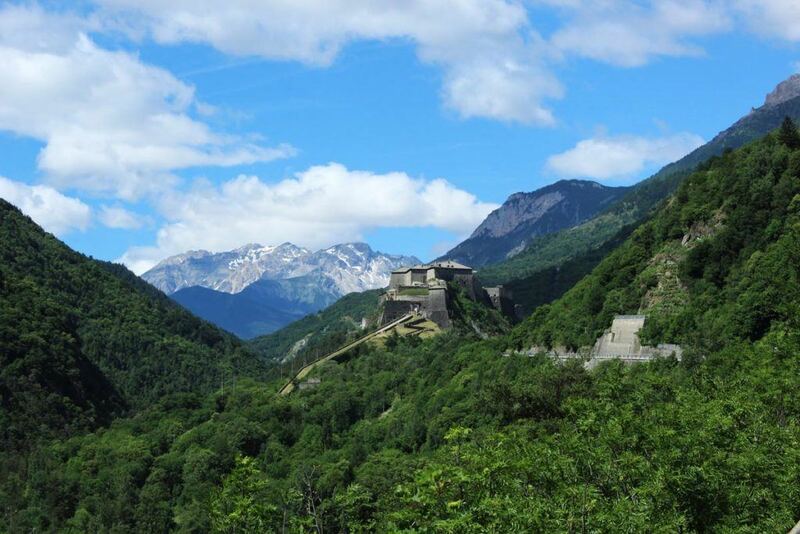 Pick up at 13.00 at Turin airport and travel north to the ancient city of Susa. 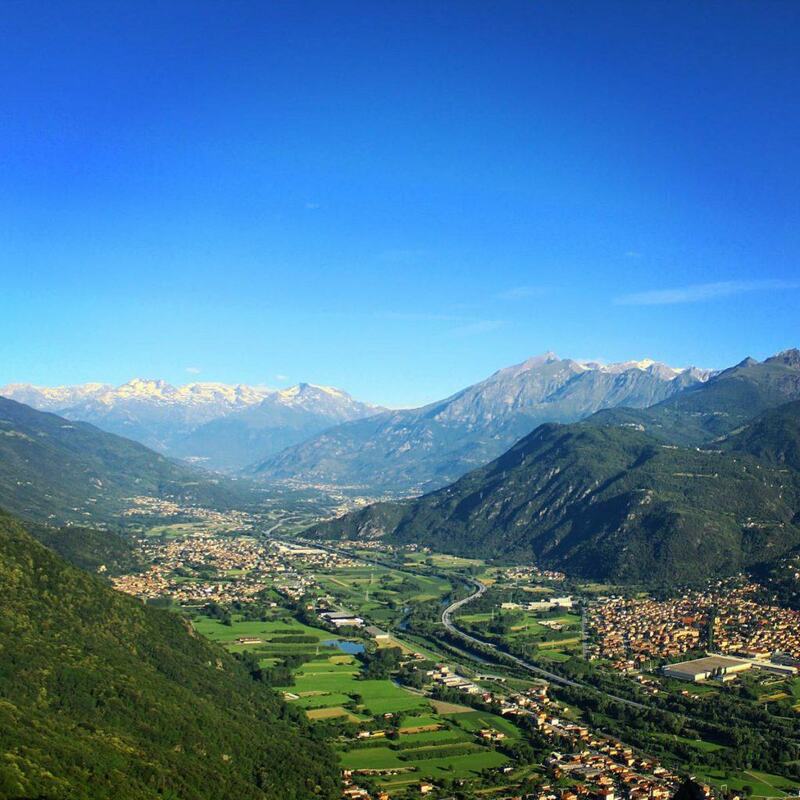 We enjoy an afternoon stroll at the feet of the alps. 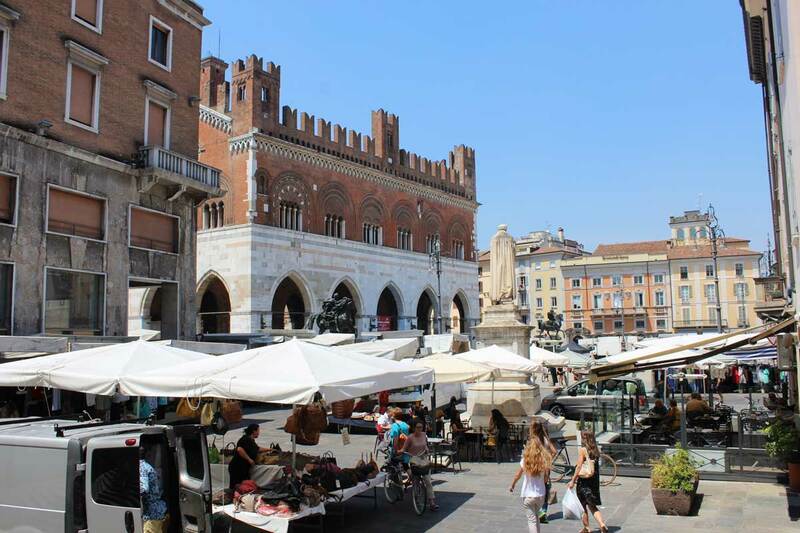 We start our day with a coffe and pastry in the main square of the ancient roman city of Vercelli. 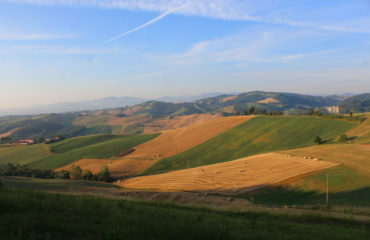 From here a pleasant walk through rice paddies and cereal fields takes us to the village of Palestro, where a delicious picnic will await us. The extent of these rice paddies are reminiscent of of the high plains of central Spain known as the Mesetas. 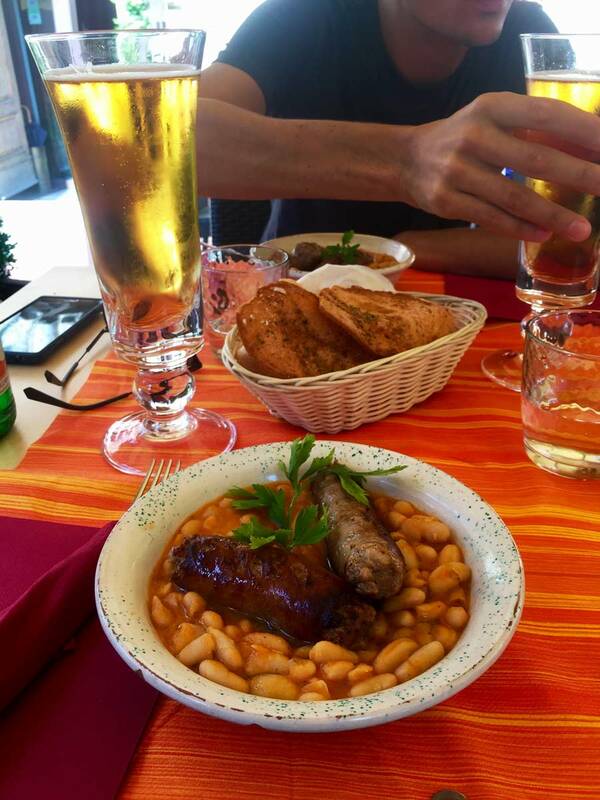 Lunch will be on your own today followed by a free afternoon to explore the city center. 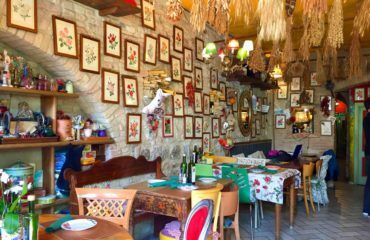 This evening’s dinner is an unforgettable experience! 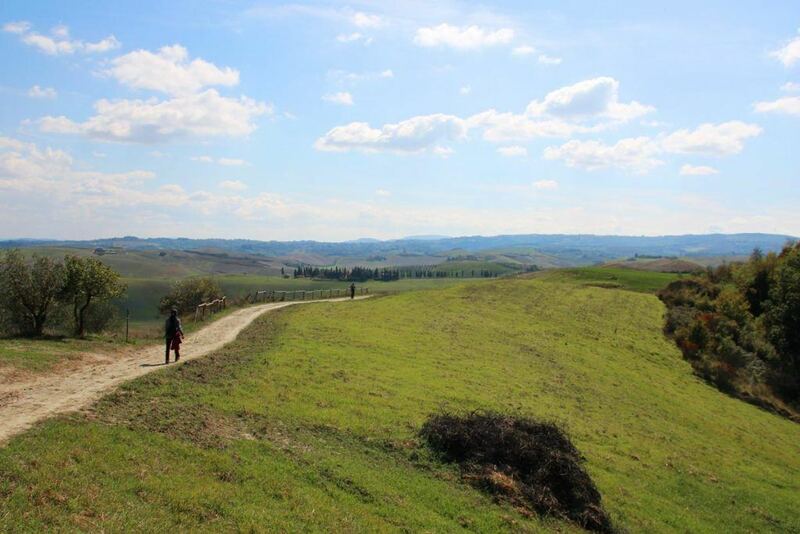 We will be guests at the Domus Romana (I century B.C.) 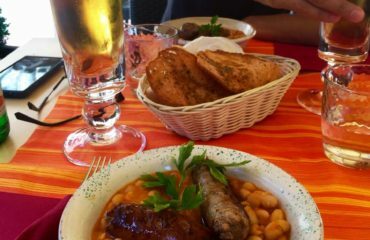 and we will enjoy drinks and food of the Ancient Rome’s cookbooks. 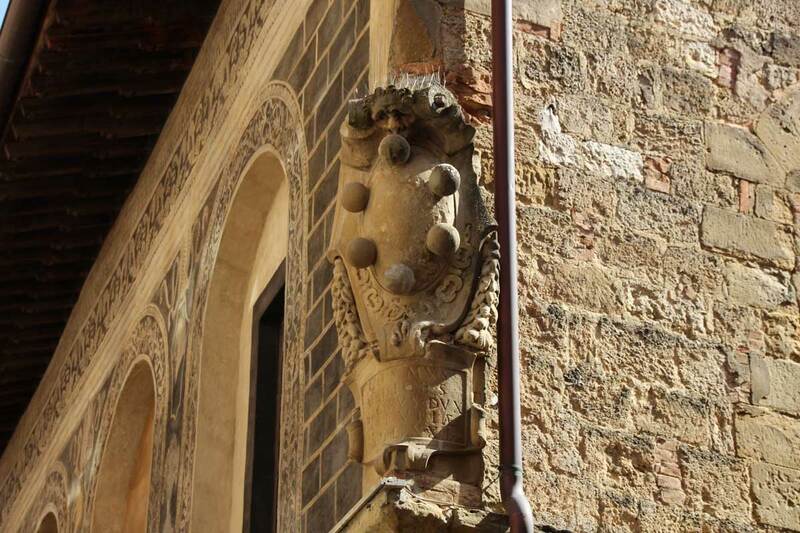 All of this surrounded by beautiful pieces of archeology. 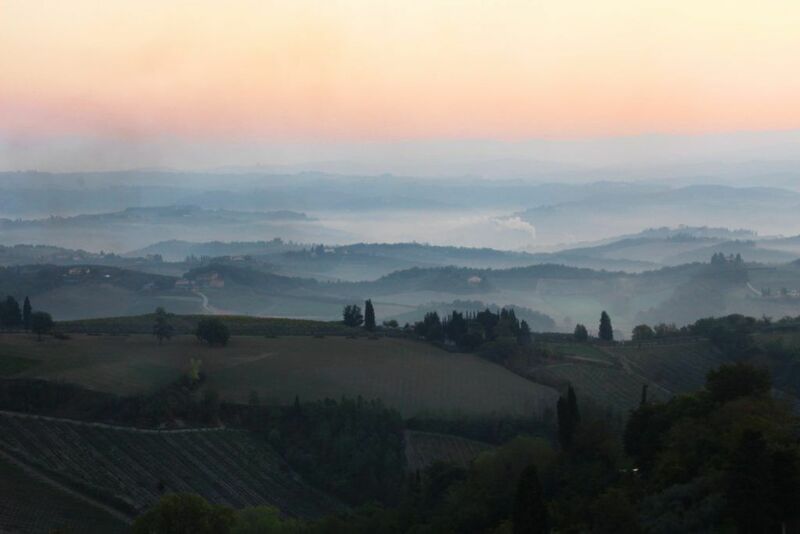 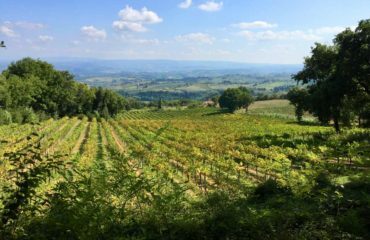 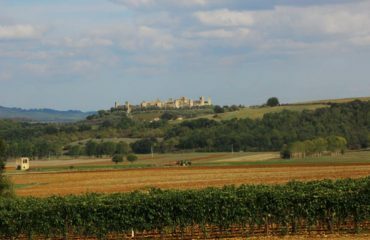 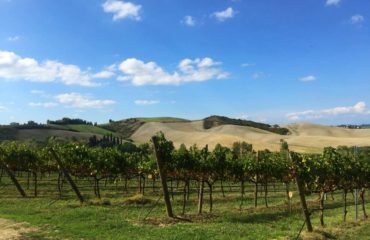 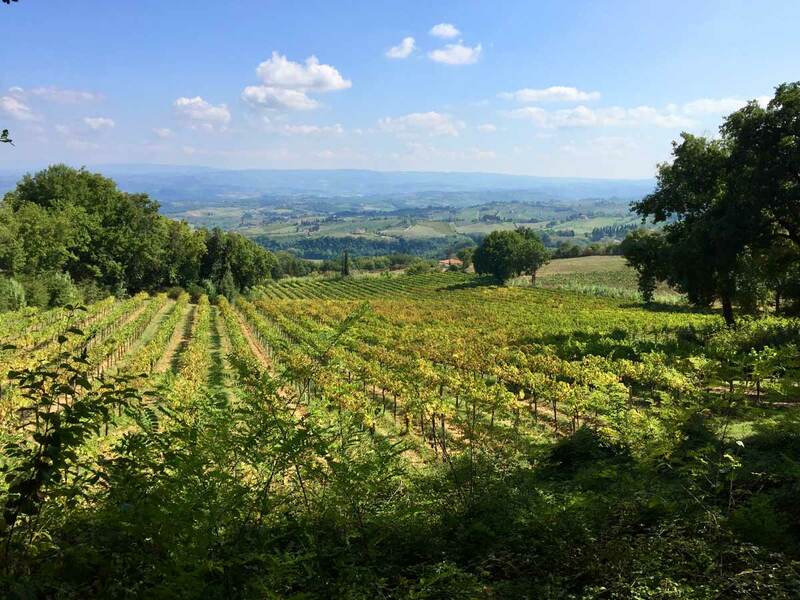 We are among the rolling hills of Tuscany, tramping through grape vines, olive groves and wheat fields. The walk takes us along the crest of the hills stretching San Miniato to Gambassi Terme with a fresh picnic lunch in the middle. 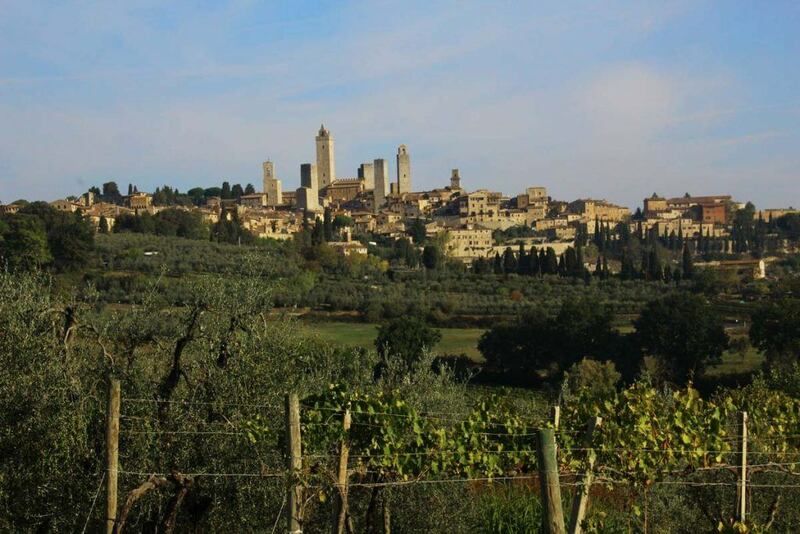 In the afternoon we head to San Gimignano, a town born because of its strategic location along the Via Francigena and the need to host pilgrims. Enjoy some time in the evening to explore before we all meet again for a delicious aperitif and antipasti. 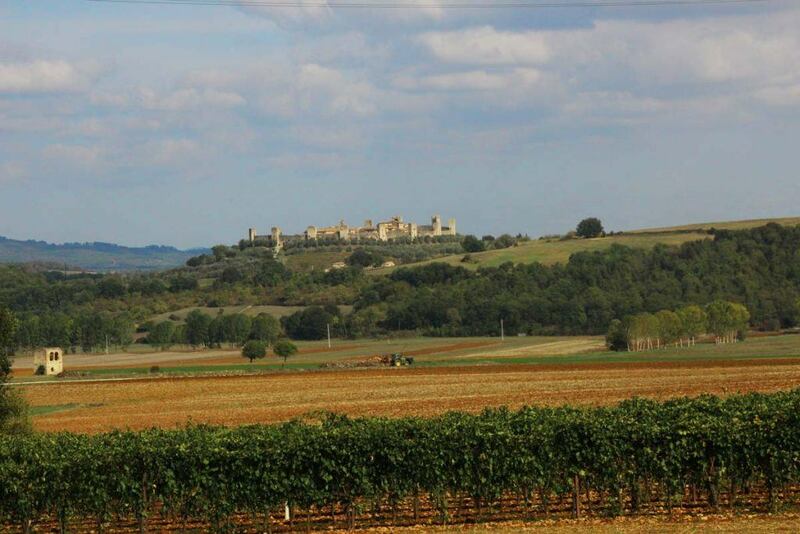 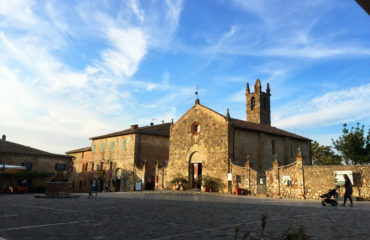 Setting off from San Gimignano we continue our journeys through the Tuscan landscape heading to the fortress village of Monteriggioni, today is one of the most spectacular and picturesque sections of the pilgrimage route. 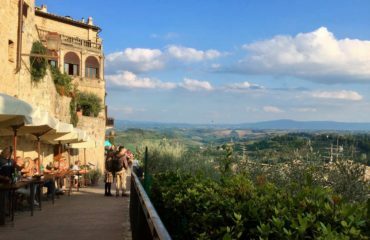 The day ends in the city of Siena where we can enjoy exploring the streets and square where the world famous Palio medieval horse rase takes place. 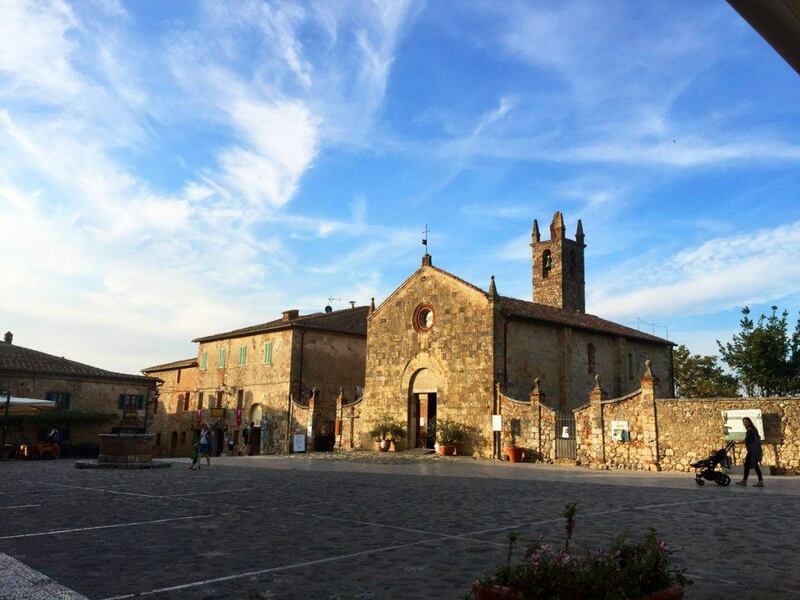 We leave Tuscany and enter into the Val di Tuscia, our destination now just round the corner. 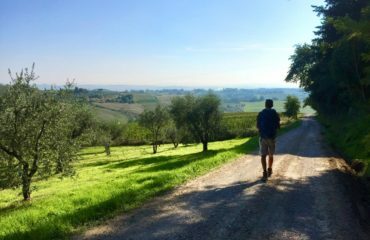 The morning’s walk is accompanied by incredible views of the lake of Bolsena, so big that for a while it seems like the sea. 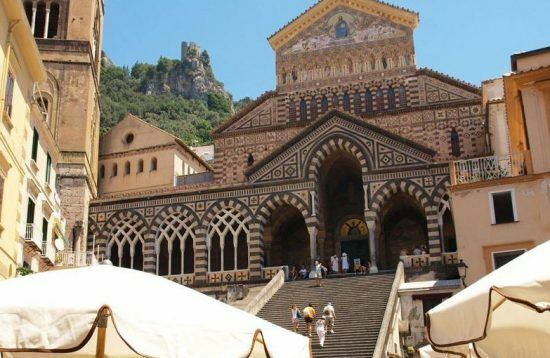 In the afternoon we head to the medieval city of Viterbo, known as the city of Popes, in honour of the period when it used to be the home of the papacy. 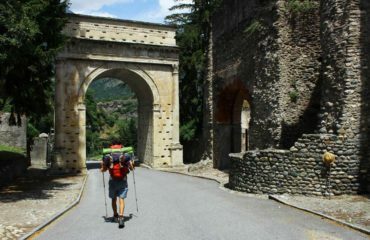 (12km/ elev + 200m). 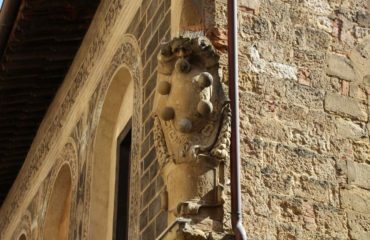 After a picnic we will walk up to the medieval town of Caprarola where we will visit the enchanting Palazzo Farnese which features a distinct pentagonal design and an extraordinary columned staircase. 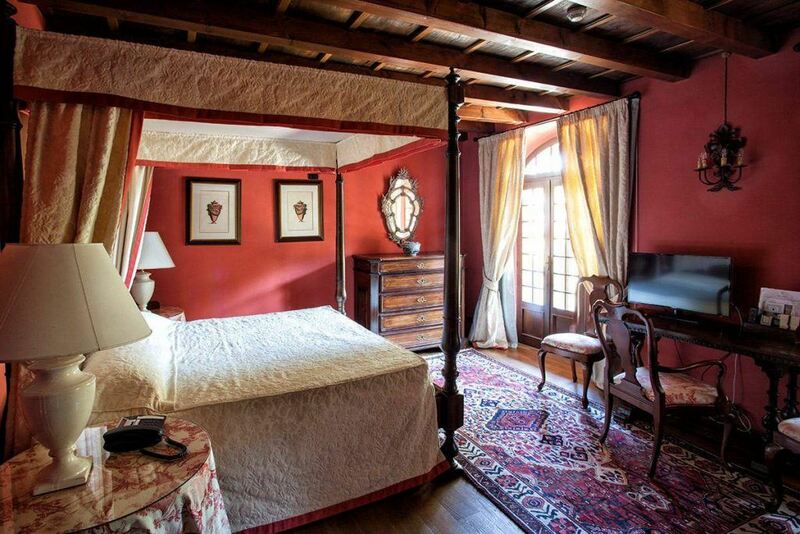 Inside we will explore the richly frescoed rooms made by some of Italy’s finest artists. 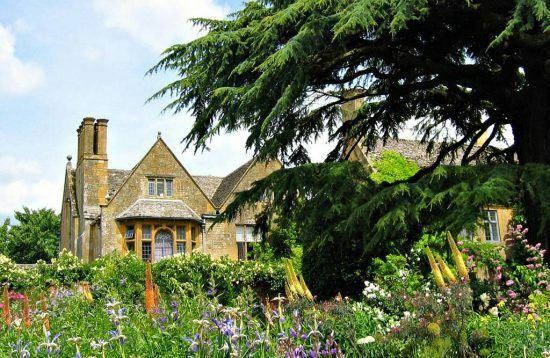 A story of lust, intrigue and secrecy awaits us in the palace’s charming terraced gardens. 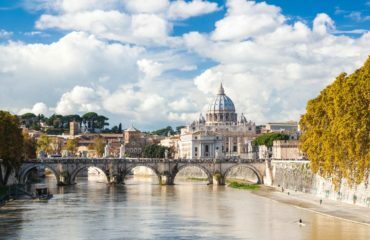 In the evening we head to Rome stopping at a place where we will enjoy a panoramic view of the eternal city and the Vatican. 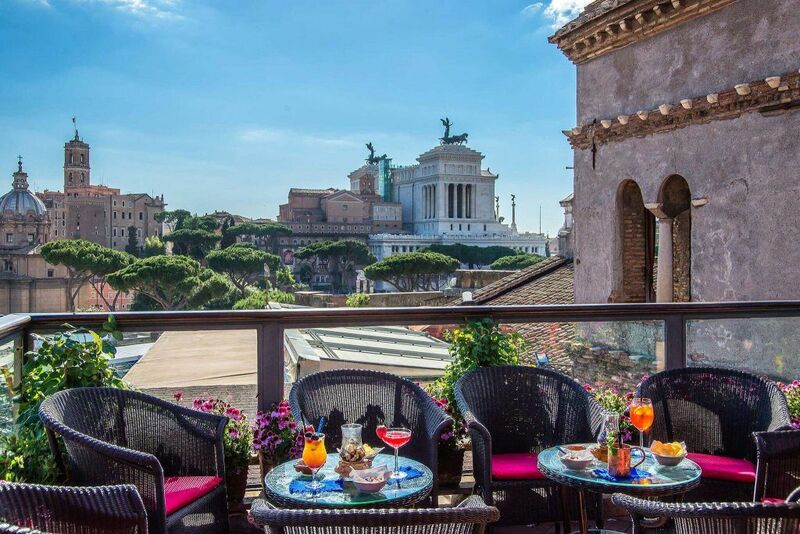 In the evening your will be free to dine at your own leisure, the hotel is located right in the historical center by the Colosseum and the Fori Imperiali so you will be spoilt for choice. 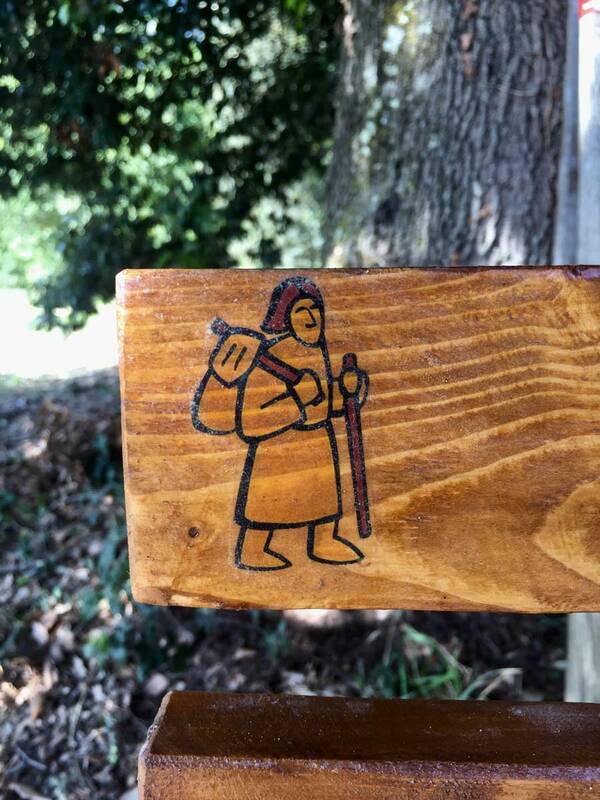 We have arrived at the end of our pilgrimage, the holy site which people have been traveling to for centuries. 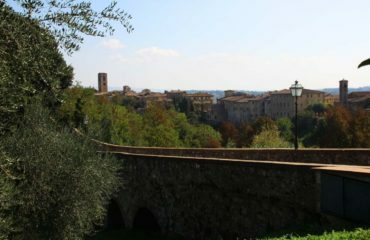 In the morning we will stroll through the ancient city slowley heading towards the Vatican. 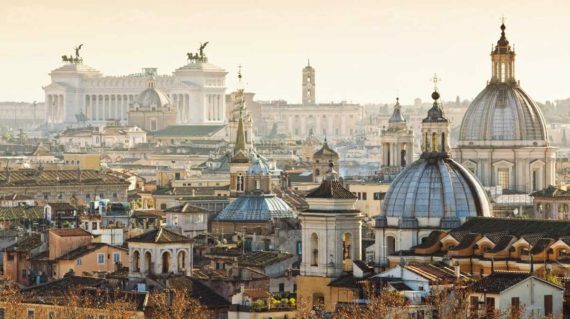 Along the way we will see all the major sites of Rome: the Fori Imperiali, the Altare della Patria, Piazza Venezia, Palazzo Chigi, the Trevi Fountain, Castel Sant Angelo and many more. 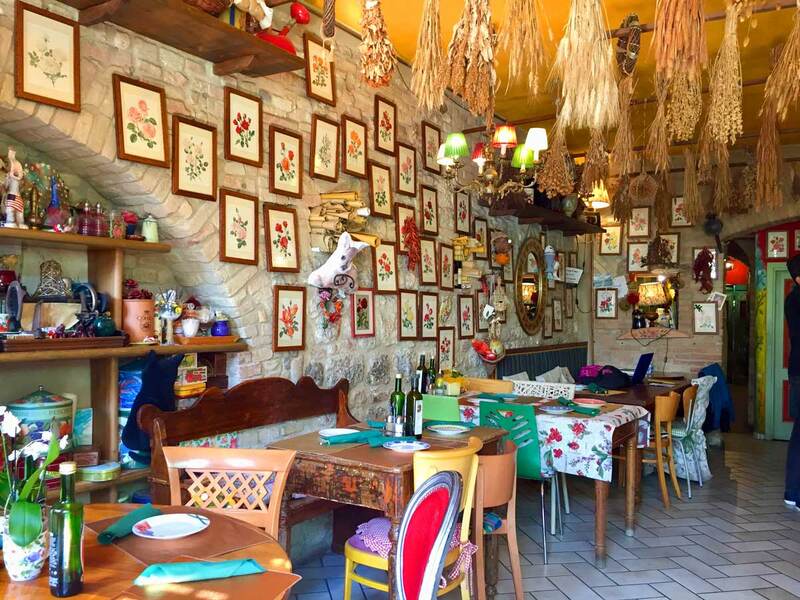 A buffet lunch will be waiting for us in a small restaurant near to Castel Sant Angelo. 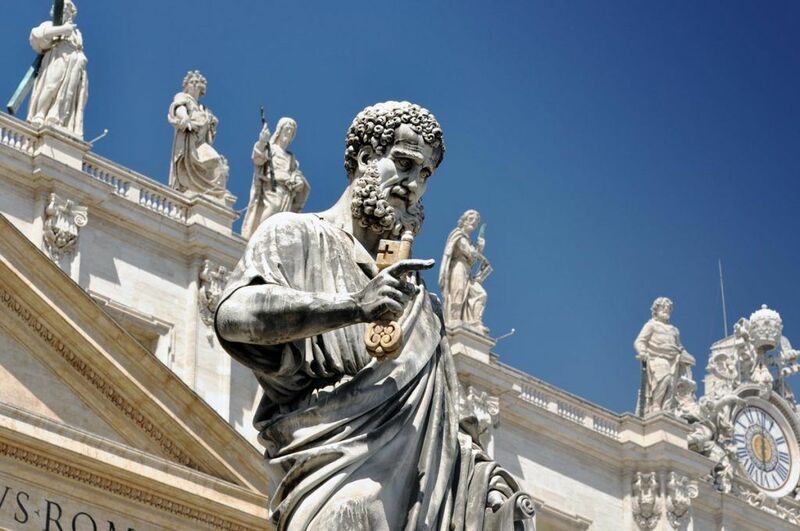 After lunch we will meet our local expert and head into the Vatican to visit the Basilica of St Peters, the Sistine Chapel and the Vatican Museums. 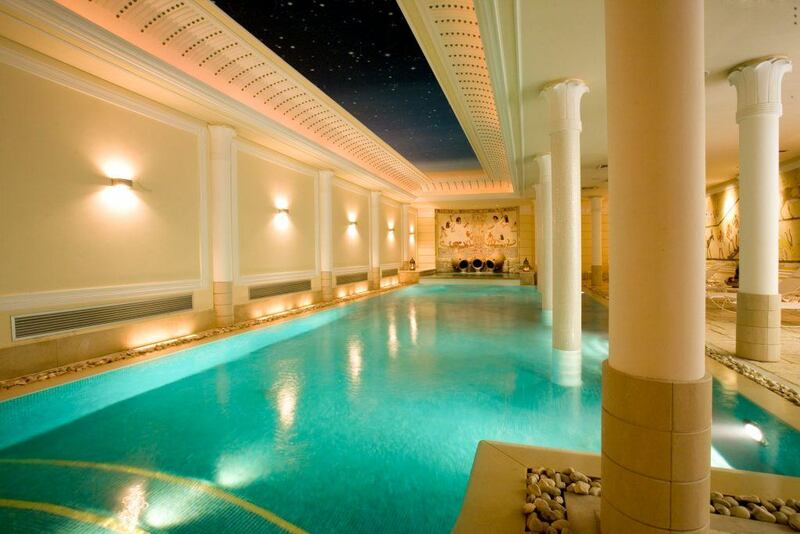 The perfect way to end our journey. 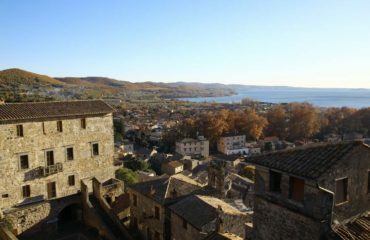 After breakfast at 9a.m. we head to Rome airport. 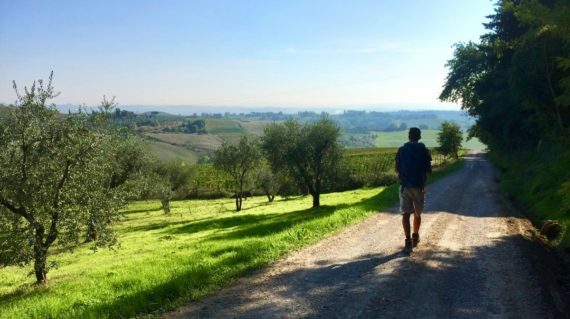 Walk through olive trees and vineyards. 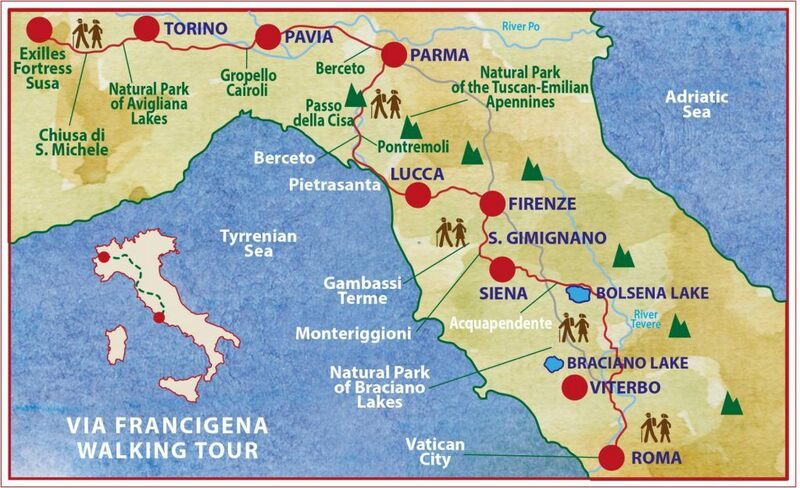 You will have the beautiful chance to reach Rome, the Eternal City, as pilgrim. Pick up for this tour is from Turin International Airport. 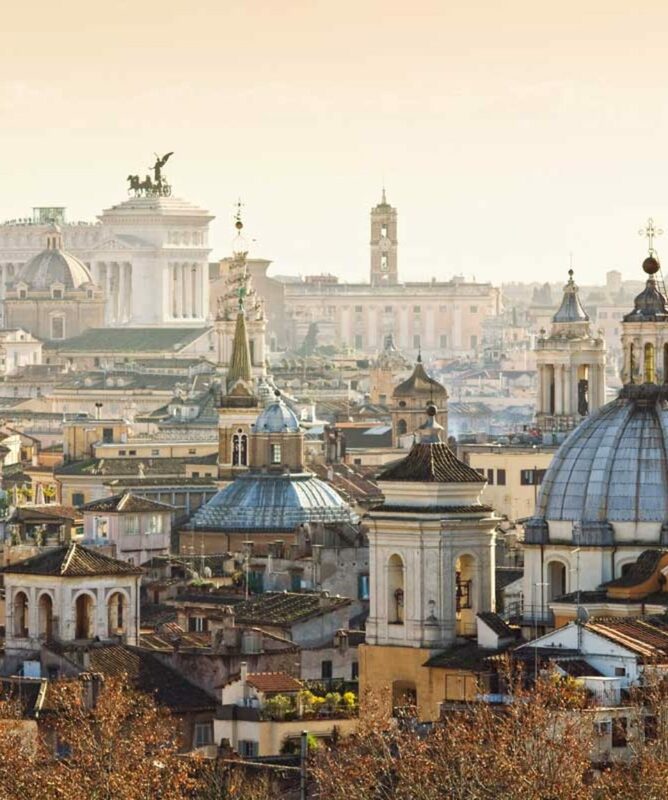 Drop off is at Rome Fiumicino Airport. 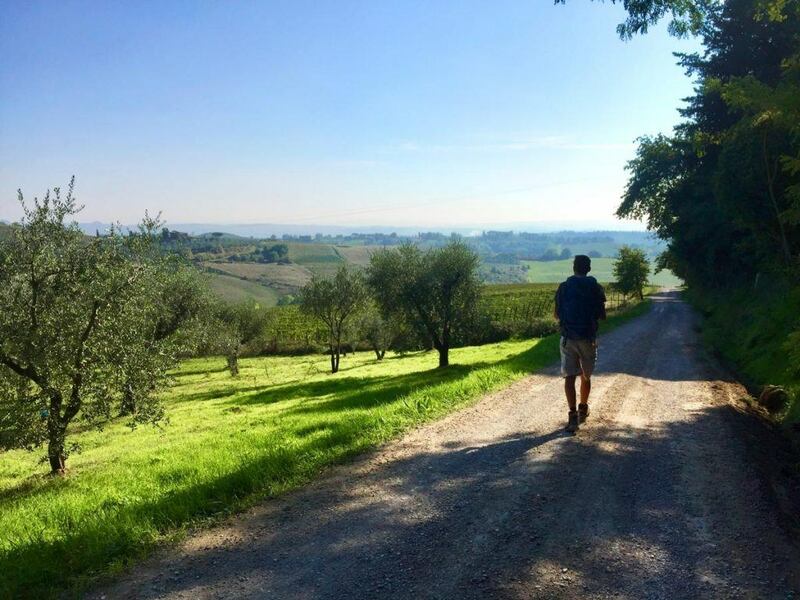 Surrounded by Nature Walk through olive trees and vineyards.